Chicken wings, chicken wings, chicken wings, or as I say CHICKEN WAY-NGS! For the record, I only added a Y in the pronunciation of WAY-NGS because a little birdie over my shoulder, who shall remain nameless, said it “sounded” like something else. To that I say sure, it “sounds” like Wangs, you know, like Wang, the most common Chinese surname in the world. Duh! Anywho, let’s get back to business. For me this post is right on time, it is football season after all. GO SKINS! Yes, I am a proud Washington Redskins Fan. I understand not everyone is a Skins fan, but don’t worry, I won’t hold it against you. Here’s a recipe for all sports fans, and anyone who likes a good hearty snack on game day. Are you ready for some football, I mean, WAY-NGS? Let me present to you, two friendly opponents, both trying their best to score a touchdown, hit it out the park, compel you to yell GOOOOOOAAAAAAALLLLLLL! Make you do the wave, maybe even dance a little jig, you get the point. However, let me just tell you, I made both dishes last weekend, and it appears the score is 1-1. I’ve got a family of big guys so this would probably only feed one. They usually come in a 12 pack, so you’ll only need one, I prefer wingettes because they are much easier to prep. 1 tablespoon for the flour and 1 tablespoon for sauce. Only if you’d like a more flaky crispy wing, think KFC, but if you don’t have it, don’t worry about it! I use a mild sauce and then spice it up with the cayenne pepper. Remember if you are making this for the masses, not everyone likes burn your tongue, make you cry hot sauce. Use the cooking instructions from my Mamaw’s Fried Chicken Recipe to fry the wings before coating them in the Honey BBQ Sauce. While the wings are frying, you can make the sauce, add the 2-3 cups of wing sauce to a medium and/or large bowl (enough to fit all 12 wingettes). Add honey, and cayenne pepper, and mix. 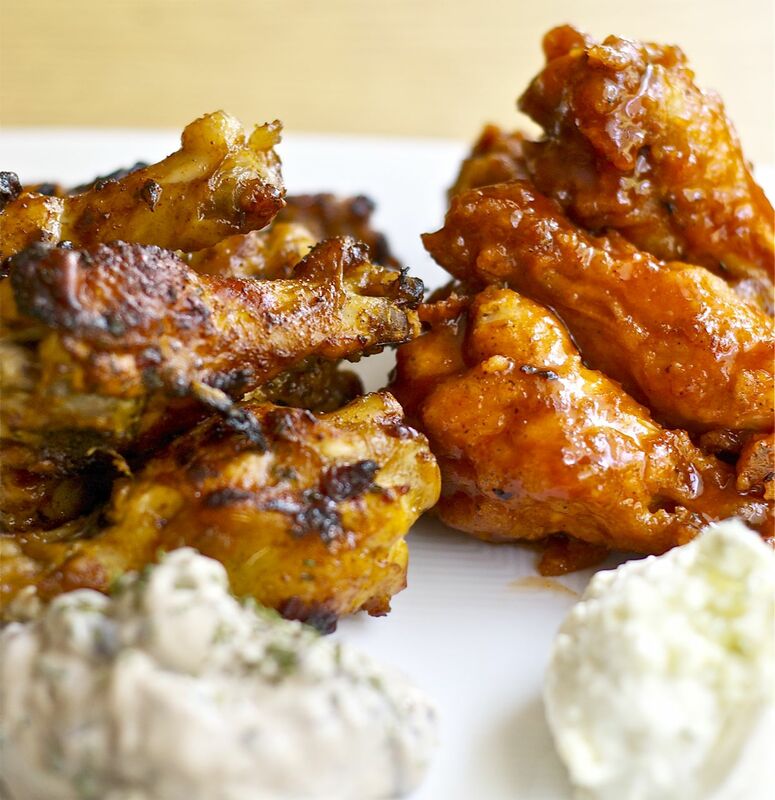 Using tongs, place the freshly fried wings, on a serving platter or large plate. Make sure you line the platter with paper towels to absorb the excess oil. Don’t want to clog those arteries too much. Once all the wings are finished, add them to the Honey BBQ Sauce and coat. You will probably have extra sauce, but you can store it in the fridge for another recipe, or use it as a dipping sauce. Perhaps on french fries, chicken tenders, or put the sauce on a burger. 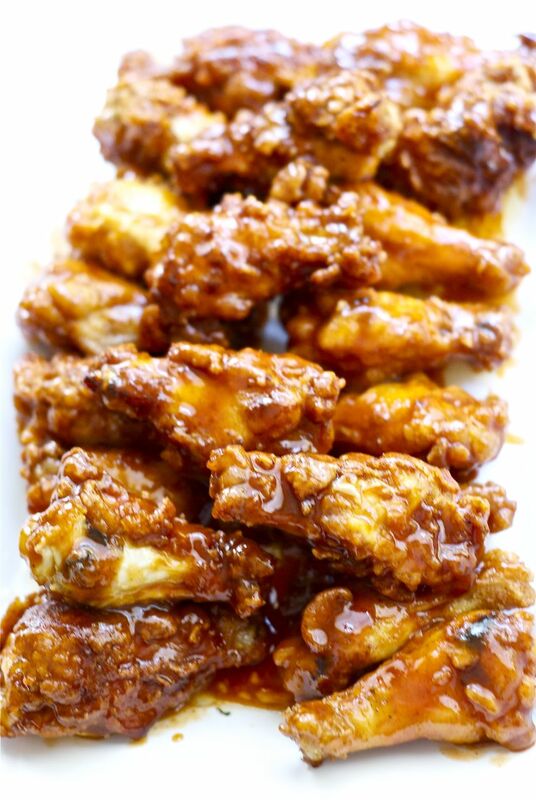 Remove the paper towels and wipe oil from the platter and use the dish to serve your fresh Honey BBQ Wings. Enjoy! Instead of trying to squeeze out a half cup from fresh limes, you can use pre squeezed lime juice. You know the juice that come in the cute little plastic bottles that are in the shape of limes. They are in the aisle where the taco seasoning is, it makes marinating the chicken super easy. If you can’t find the chipotle seasoning, then get a hot chili seasoning mix. This part is optional, if you don’t have it, don’t worry. Line a baking sheet with parchment paper, and lightly spread olive oil or vegetable oil (about 1 Tablespoon) onto the paper. While the oven is preheating, mix the lime juice, chipotle sauce, salt, and Chipotle seasoning packet in a bowl. The bowl should be large enough to fit the 12 wingettes. Before you put the wings in the sauce make sure you rinse them off in cold water, and remove any feathers not yet removed. Remove one fourth of the sauce and set aside, you will use this later. Once the oven is preheated, place the uncooked wings on the baking sheet lined with parchment paper. Should be in rows (one layer). Give them a little space (1/2 inch) to cook. Sprinkle the wings with the ground coriander if you have it (optional). 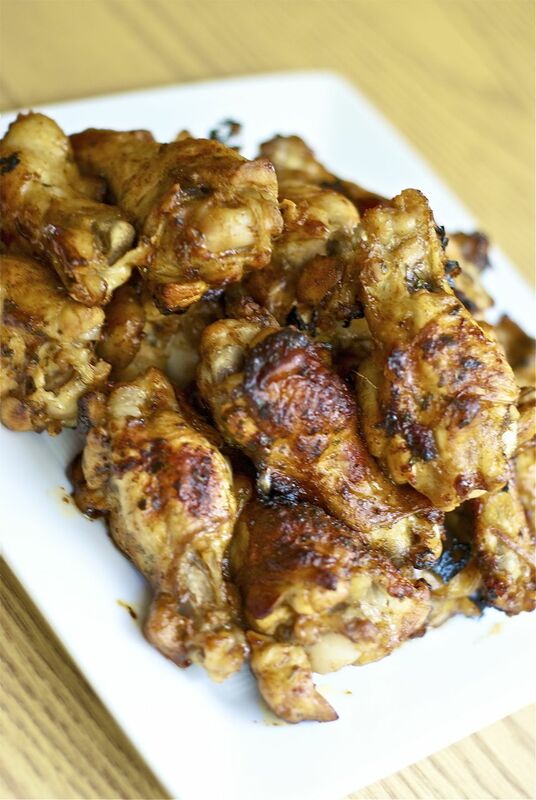 Place wings in the oven on the middle rack and cook for 15-20 minutes, the wings should be browned. Turn wings over and brush with the sauce that was set aside. Cook for another 15-20 minutes. Most of the sauce should have evaporated, if not remove from oven and discard excess juice. Place back in the oven for another 5 minutes. This is only if most of the sauce did not evaporate. If you’d like to make the flavor of the wings even more intense brush the wings again with the chipotle sauce, and let rest in the now turned off oven for another 5 minutes, or until ready to serve. This blog and all of its content including photos and text is copyright of onebigmixblog.com - © 2010-2013.